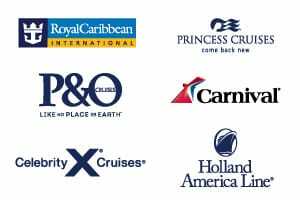 From the exotic and exciting ports accessed by America’s eastern coastline, to the magical cities and towns of Europe, a cruise aboard Regal Princess is an amazing way to explore the amazing sights of the Northern Hemisphere. Discover the stunning islands of the Caribbean from Fort Lauderdale over 7 nights (for eastern or western options), or 14 nights for an in-dept Caribbean exploration. Alternatively if you’re looking to head north, witness the picturesque towns and cities of Canada and New England from New York. As the weather starts warming up in Europe, Regal Princess makes her way across the Atlantic. Discover the beauty of Northern Europe with 10 or 11 night cruise loops with the option of embarking in Berlin, Copenhagen, Helsinki or St Petersburg. Or alternatively explore the coastal cities of western Europe with departures from Southampton or Paris. 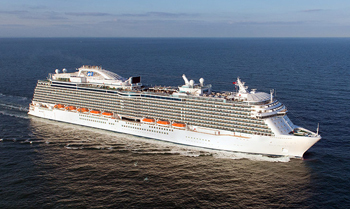 In exciting news for the Regal Princess in 2020, she will be making her way from Southampton to undertake her first season cruising in Australia. Itineraries aren’t yet released for departures from Australia, however you can book to be one of the first to cruise through the Sydney Heads or down Brisbane River on this beautiful ship. 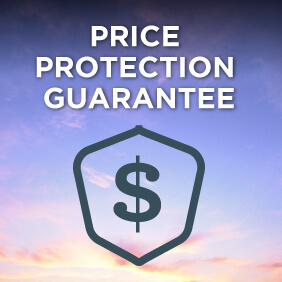 View all Regal Princess cruises, view a selection of Princess cruise deals, or view more options for Princess cruises. Enjoy sweeping views from one of more than 1,400 balconies on Regal Princess or stroll on the SeaWalk, a glass-floor walkway extending 28 feet beyond the edge of the ship! From the tranquil Sanctuary, a retreat reserved for adults, to the dazzling Princess WaterColor Fantasy light and water show and more, you’ll find diversions for every mood. Our exclusive partnership with Discovery Communications lets you come back captivated with Stargazing on our top deck; activities featuring DiscoveryTM hit shows such as Shark Week and Finding Bigfoot; plus our new Encounters with Discovery at SEA speaker series. Get more out of your travels with shore excursions recommended by two of the most trusted names in world travel – Discovery and Animal Planet. In addition to the hot dogs, hamburgers and chicken sandwiches that passengers love at the Trident Grill, this poolside eatery transforms into a traditional smokehouse-style barbecue each evening, serving up hearty plates of jumbo chicken wings, Route 66 beef chili, Texas-style barbecue brisket, Kansas City Sweet & Smoky Pork Spare Ribs, and North Carolina Pulled Pork. Enjoy delicious southern flavors, poolside!